Specializing in automated systems for window manufacturing, GED wanted a marketing piece that would provide feature/benefit information for their automated manufacturing line in addition to featuring a technical representation of the complete process. We proposed a format that when initially opened, is a standard brochure size that includes a variety of charts, graphs and data that convey the primary features and benefits of the system. 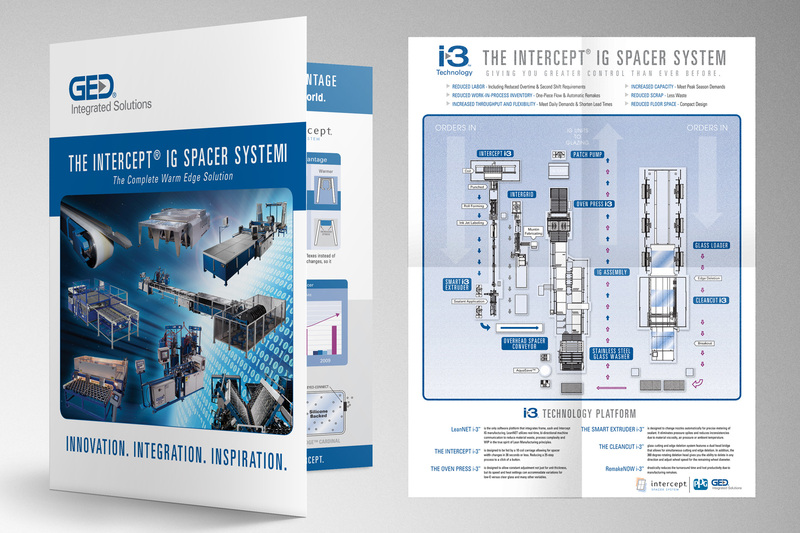 When the brochure is opened again, the reader is greeted by a poster size, technically-driven illustration with graphic guides detailing the automated manufacturing process step-by-step.